June 5, 2017 by Josh Haynam	in Marketing Strategy. I’ve been working with quizzes for more than 4 years, and in the last six months I’ve seen adoption of quizzes as a marketing strategy absolutely skyrocket. Quizzes are fast-approaching the tipping point where they’ll go from an interesting tactic to a bedrock tool for most marketers. Today I want to talk about why this will happen from a psychological standpoint, and then go through what you can do with quizzes to maximize their usefulness. 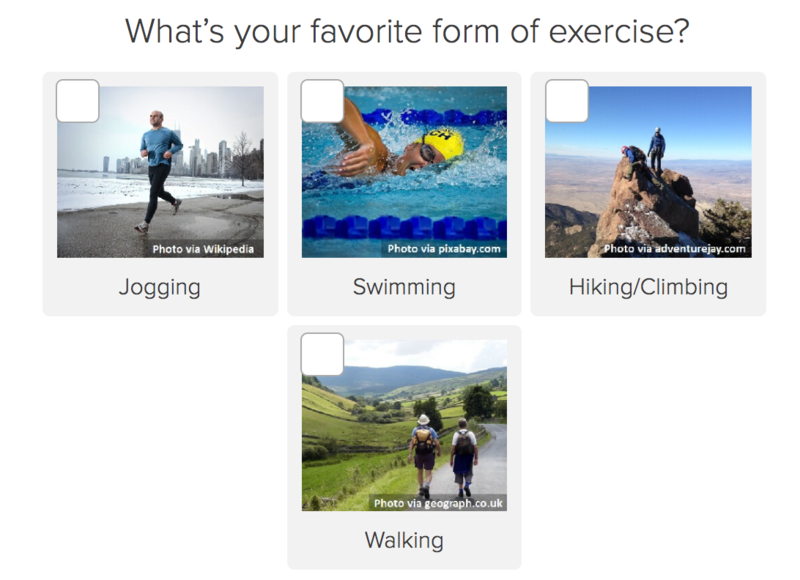 I’ve talked with probably 15,000 people about quizzes, and the vast majority LOVE taking them. There is no rhyme or reason to who enjoys taking quizzes, from older gentlemen to techie young women there is no discrimination in who likes quizzes. Everyone asks me what makes quizzes so enticing (even the people who love quizzes). I actually have a very good answer, check it out in three parts below. Self expression. According to a study by TIME Inc. 40% of the words we’ll say in our lives are about ourselves. We actually get a release of good feelings when we talk about ourselves, and we’re willing to get paid less if part of our job is self-expression to a captive audience. Now think about traditional marketing tactics, blog posts (like this one), webinars, e-books, white papers, videos, the list goes on. All of those mediums are broadcast mediums and don’t allow for people to respond in their own right. A quiz is the only marketing channel that will let your audience answer personal questions. That’s enormously powerful, and the biggest reason people keep taking quizzes. Narcissism. Have you ever noticed that quizzes always tell you that you’re awesome even if you’re not based on the quiz results? That’s not by accident (sorry if I burst your bubble and now you’re going back to all your favorite quizzes to see if they’ll give you a negative result). We tend to share positive things about ourselves on social media (when was the last time you saw a post about getting fired? but there are plenty about getting hired). So quizzes have aligned themselves with this trend and always spit out enormously positive outcomes regardless of how you actually did. Inclusion. Another very powerful thing we enjoy as humans is inclusion in a group. Being a part of something that feels personal to us is important, and also releases good vibes (or pheromones if you want to get scientific). 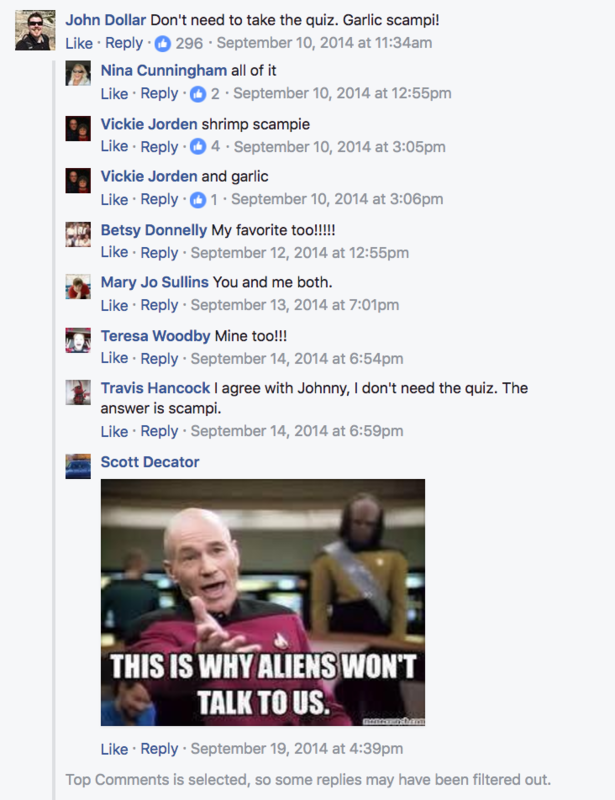 I mean, just look at the ridiculous thread below of people who are bonding over the fact that they all got recommended Garlic Scampi shrimp from Red Lobster, it’s like a regular pow-wow. Again, this phenomenon is unique to quizzes, there isn’t another type of content that is simultaneously divisive and inclusive that lets this kind of comment bonding happen. Hopefully you’re convinced to try out quizzes for yourself. However, it’s important to note that a quiz is pretty useless if it’s not driving business results for you, even if a million people take it (I’ve seen this happen before, it’s annoying). There are three main ways that quizzes drive results for your business. 1. List building. 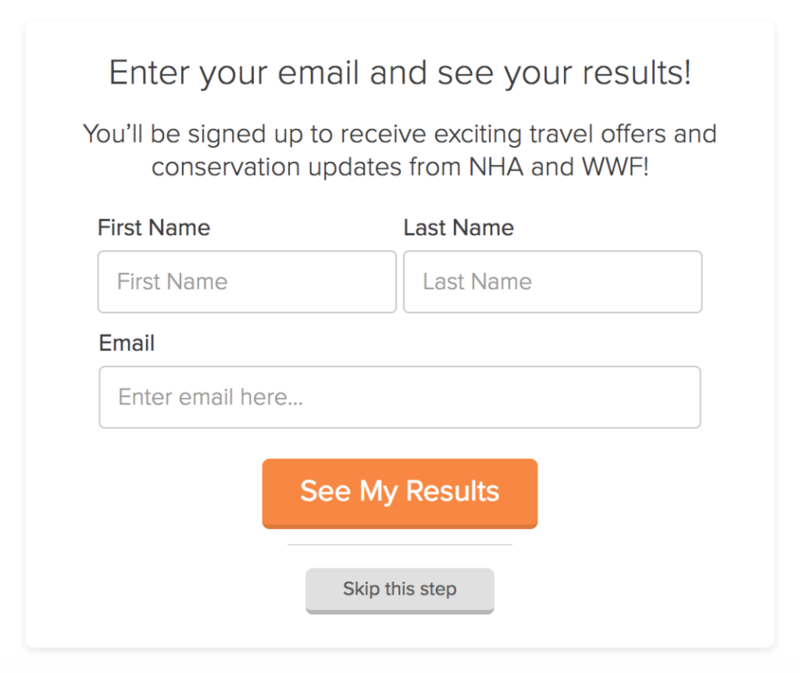 The biggest reason people are adopting quizzes for marketing is their usefulness as a list building mechanism. A quiz averages a 50% conversion rate, meaning that 1/2 of everyone who starts taking your quiz will end up opting in. With quizzes, you can also segment the new emails by how they do on your quiz, which personality type they get, or even how they answer a specific question. 2. Audience insights. You can pull in information about your audience, just like a survey and act on that data to help you come up with new marketing ideas and blog posts and content. It’s helpful to know what your audience likes because then you can create products for them that they’ll actually be interested in. 3. Social growth. I put this one third because I was just mocking it as a strategy up a few paragraphs ago. It’s still true that social interaction without action is pretty useless, but sometimes social media connection does lead to real sales, and that’s when you can win. 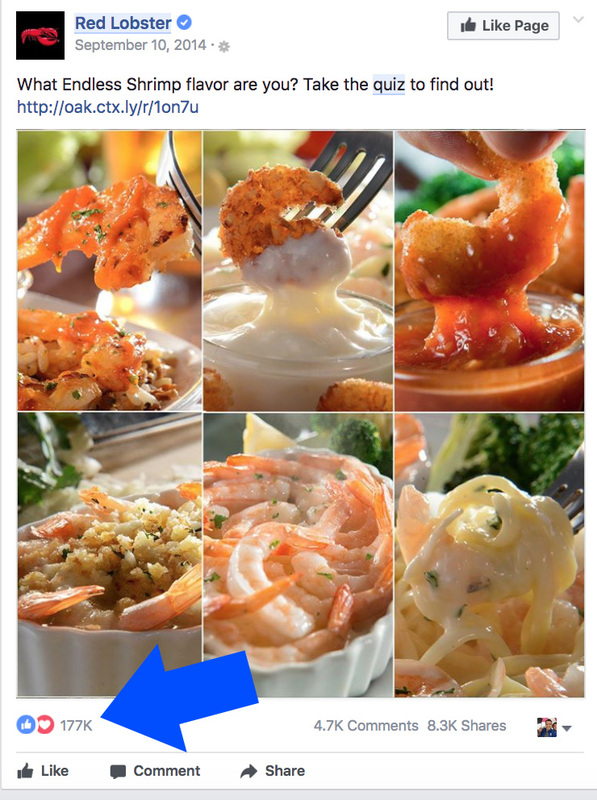 Check out the Red Lobster quiz post below, it’s got 177,000 likes, which is absurd, and I have no doubt they sold a lot of shrimp with those numbers, but it’s harder to track which is why I don’t rank it as importantly. Quizzes are coming on strong, they’re getting too big to ignore, and at some point in the near future they will be a tool in the arsenal of every marketer, it’s already starting to happen. Get started now so you’re ahead of the curve.